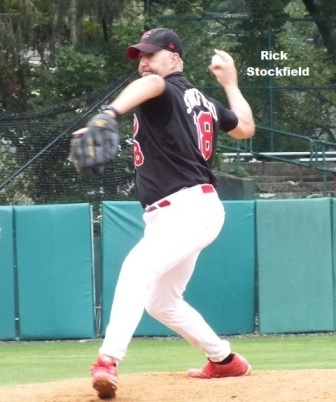 Rick Stockfield is the League President of the Hudson Valley MSBL located in New York. Rick is an established MSBL veteran and has played in MSBL leagues beginning in 1996 in Atlanta and Los Angeles before settling into the New York leadership role. He also has several Fall Classic championship rings to his credit as player and manager. You can read more about our most recent MSBL Honor Roll club inductee below. Town where league is based: Fishkill, New York (Hudson Valley area of New York – Dutchess, Orange, Northern Westchester, western-Fairfield, Putnam counties). Describe your baseball resume: (list levels played, any major accomplishments, etc. ): Played varsity ball at Arlington High School (Poughkeepsie, N.Y.), club ball at Syracuse University, in the Hudson Valley Rookie & Twilight Leagues, then MSBL since 1996 (Georgia Cherokees) and in Los Angeles (Malibu Mustangs) and in the Hudson Valley MSBL since 2009 (Kent Cubs, Pirates, Renegades). What is your greatest baseball moment, either watching or playing? Throwing my first and only no-hitter at age 42 in our 18+ division; to date our 29-year old league’s only 9-inning no hitter. When did you start playing for MSBL and how did you hear about it? In 1996. I’d moved down to Atlanta and asked around and quickly found Steve Rosenberg who connected me with the Georgia Cherokees, a team I’d play for and eventually manage for 10 years going to and winning multiple national tournaments. Do you still play? They’ll have to rip the uniform off of me. So, yes. What team and age bracket? I play and manage an 18+ team (Kent Cubs), and play on a 35+ team (Kent Pirates) and 45+ squad (Dutchess Renegades). What is the best thing about your league? We have grown from 17 teams in 2015 to 32 teams today. We are a non-profit and officially a 501(c)3 organization so one of our main goals outside of just playing ball is to give back to the community. Our charitable arm (The 3 Up 3 Down Organization www.3u3d.org) supports and promotes youth baseball in and around the area while also supporting those with developmental disabilities. In 2017, we gave away charitable grants totaling more than $14,000. We should eclipse that mark in 2018 as we continue to give back to the community. We will have more than 2,000 fans in attendance at our All Star Game in July being held at Dutchess Stadium where the New York Penn League Hudson Valley Renegades play (A-Tampa). We’ll have fireworks, festivities while giving away our grants. I encourage all MSBL affiliates to give back if they can. Though there’s the opportunity for a league president to profit off his league, I personally elect not. I’d rather see the sport flourish and put the best product onto the field. This is a thankless position, but knowing what we are doing makes it possible for the sport to continue being played well locally, that’s thanks enough. Do you participate in any MSBL national tournaments? Yes. I’ve gone to every Fall Classic in Florida since 1996 except two, having gone to the World Series in Arizona one year instead and having rotator cuff surgery one year also. But I’ve also sent teams to the Orlando/Disney Classic, Las Vegas Classic, and gone to Palm Springs, and several regional tournaments. Who is your favorite player of all time and why? I feel odd saying this since I’m a Yankees fan, but Cal Ripken, due to his work ethic, desire and love for the game. Named by 3rd son after him. Are there any additional personal comments you wish to add about your playing or life thus far? I’ve had the good fortune to have played this game for as long as I have and still have a passion for it. As much as I’d have loved to have gone pro, I’d not change anything. I play the game because it’s fun, it’s a diversion from life and because it’s pure. My ability in the role I’m in now affords me the opportunity to get as many people playing the sport still as I can. We’ve grown from 17 teams to 32 at a time when the game is down. As long as guys still want to play and appreciate my efforts, I’m fine donating my time. Are there any comments about MSBL you wish to share? I’ve had a really good relationship with the MSBL since my days in Atlanta with MSBL HOF’er Steve Rosenburg, always seeing Brian Sigler annually at the Fall Classic and catching up with him and watching both our families expand; and of recent in working with Steve Sigler in strategizing on growth and competition. I’m grateful to the MSBL for bringing a brand of baseball filled with integrity and structure in a time when many companies aren’t that way. I’m happy to support this brand and continue to watch it grow.